Awesome ! As a “road warrior” myself, this is such valuable info. I am leaving for a few days actually tonight and will be using a few of these tips. I especially like the vial idea… now I just need to find a crack dealer LOL 🙂 ! Great read. 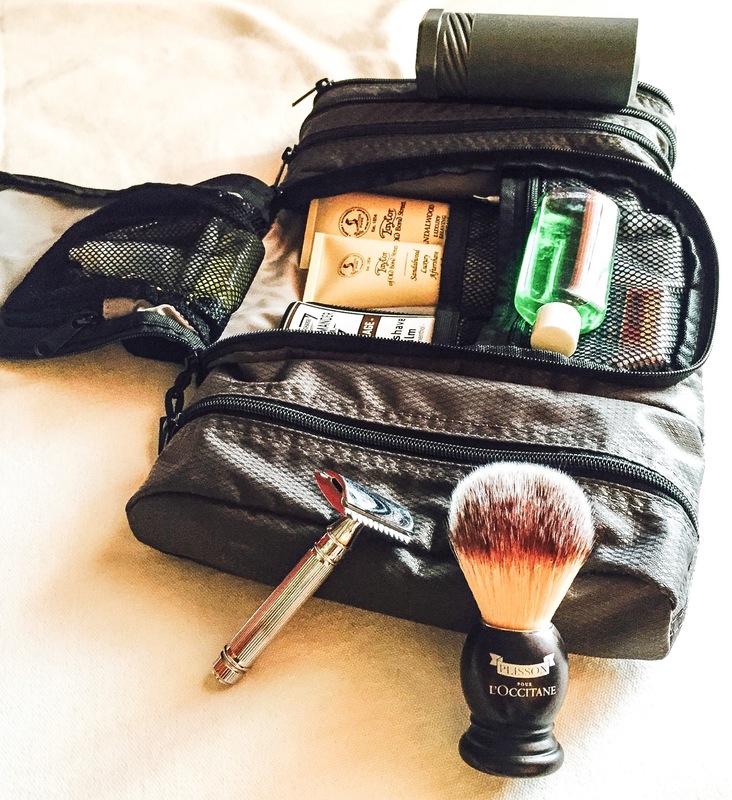 Also who makes that travel dopp bag ? Where can I find a similar one ? Thanks ! Excellent ! you are a true gentleman Peter ! Happy travels. I also used to carry a shed load of stuff but now I am slimming it down. 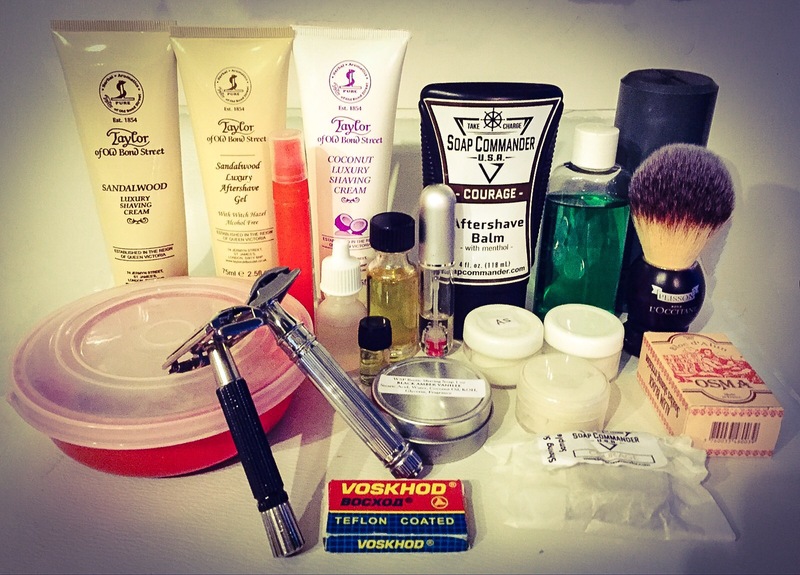 It was not uncommon to see me carrying 4-5 straights or more, 2 strops, 2-4 soaps, 2-4 aftershaves. Now I am a minimalist and will go ultra-minimal once I get some atomiser bottles and small tubs for my soaps.